Time to do it all again! 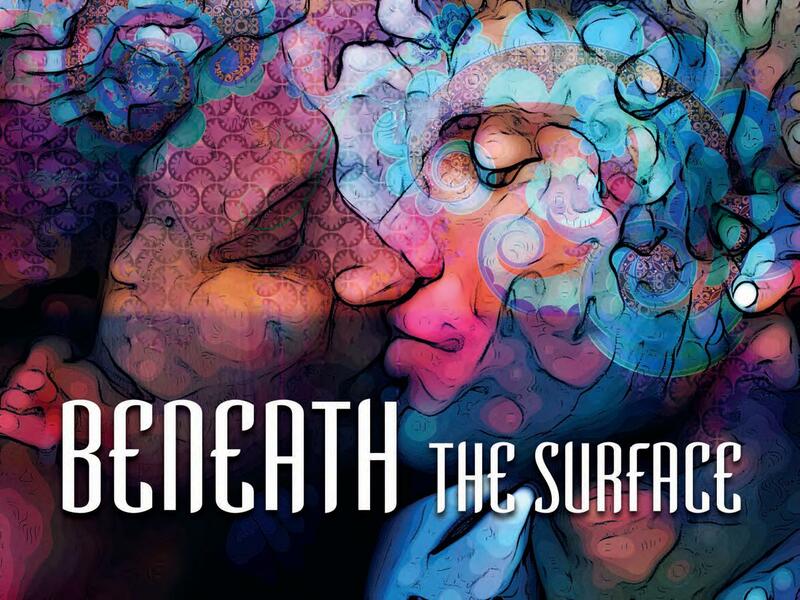 After a couple of days off – which felt very strange after having spent so much time with everybody last week – we reconvened at Smethwick library yesterday, raring to go for Beneath the Surface event 2! There was a considerably more relaxed feel in the room when I arrived. We’d done it once so why shouldn’t we be able to do it again? The post-Southbank event discussion highlighted an intensity in the room during the event. We understood part of this was the direct relevance of the content for most of the audience. Some of this would have been aided by the character of the room like the low ceiling and so on. And finally, probably somewhat informed by our own first show apprehension. We decided that we consciously needed to make the space warmer for the audience. We played some music on arrival and just generally tried to be more at ease…easier said than done. The audience was slightly smaller than had booked. 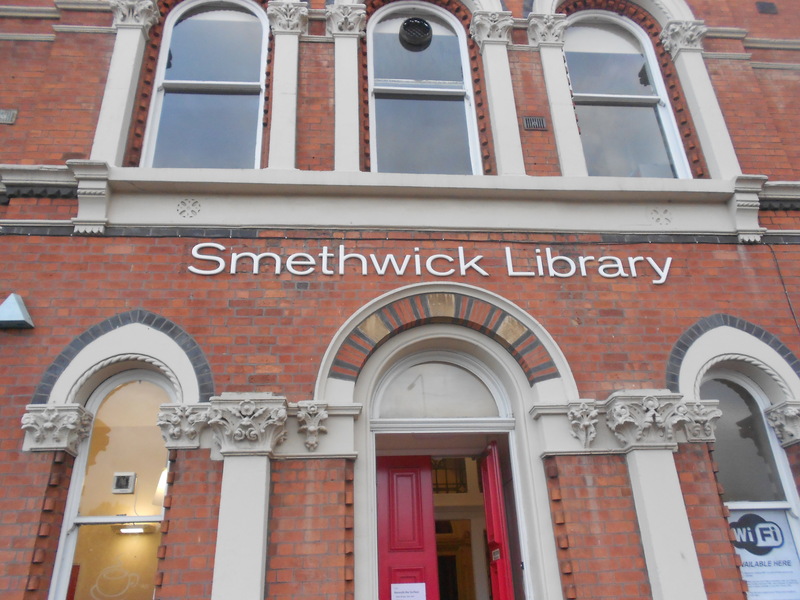 Apparently, through some quirk of irony, there was some postcode confusion for a few; some had been directed to The Smethwick Conservative Club rather than the library…without wishing to get political, I can think of nothing the Tories would love more than our audience arriving at their club! Still, we had a good number through the doors. Interestingly, today’s audience was made up of families in the main and there was a more even cultural mix of Asians and other communities. There were a few supporters of the project in too – my Dad for one! So again, it was a very warm and receptive audience. The performers are definitely gaining confidence in performing their parts. Their smooth delivery is a marvel to watch and, personally, I have always loved listening to them enunciate their lines. During the audio extracts I find myself just listening to the hard consonants and softer vowels and the range they perform with – it’s magical! Then it was on to the discussion after the show. Again, it was great to hear people’s reactions to what they’d seen and how their own experiences affecting their engagement with the piece. One man was very articulate in expressing his belief that you can be both gay and Indian and that while we collectively feel that it is something we cannot talk about, actually on an individual basis we are very free and open with discussing these ideas. Similarly, I had a very interesting discussion about how the concept of family represents the idea of unconditional support and love, whether you come from a very large family or a very small one. I come from a very small, close-knit family while some of the people I talked to come from very large, extended ones. Yet we both agreed that a family takes care of each other and supports it’s members. It was interesting how people from such different backgrounds can hold very similar beliefs and I found it fascinating to discuss and listen. So hot off the tail of Smethwick, we are in Birmingham tonight at mac birmingham. God knows what state I’m going to arrive in – ironically, while I am a Midlander through and through I have absolutely no idea how to work the bus system in Birmingham! So this may be my last blog…that or I’ll be writing to you from Glasgow or something equally ridiculous! Until the next time – stay fabulous! This morning was like a blast from the past, leaving Wolverhampton for Smethwick. Accurately speaking the former commute was to Oldbury and then West Bromwich. It was drizzling but quite mild with a damp breeze. I met with Jean Fenn, the Library Manager. She was great. We started by looking around the space. I used to know the library quite well. 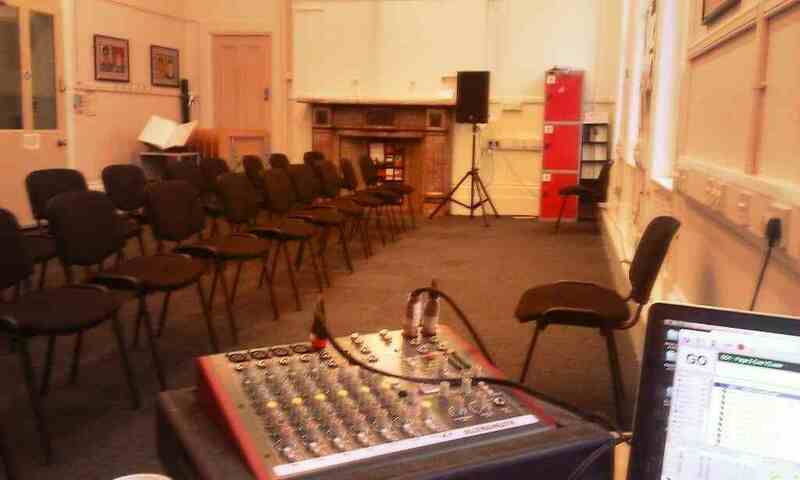 When I worked for Black Country Touring we ran an event or two in the community room upstairs and even the odd show in the main space downstairs. I always liked the place for it’s ease of access, its location in a community setting and the types of participants and audiences we engaged with. I suppose I feel like I did a bit of creative growing up here from the genesis of Apna Ghar, A Thin Red Line workshops and The Corner Shop oral history training. Dawn Winter, the former manager was a great support. Jean Fenn was as equally impressive. We ran through the practicalities of the space. It’s a little all change. I was aware of the Big Lottery grant award they received a few years back, but I’d not seen the results: the new cafe, toilets and widening of the overall space. 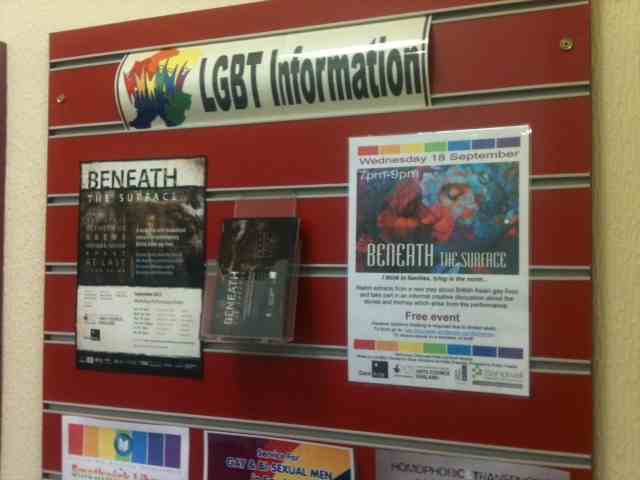 But what I was most impressed with was the strategic development of LGBT resources: evident through displays, rainbow spine-tagged books, DVDs and magazines. Diva and Attitude sat next to Asiana and Asian Bride. 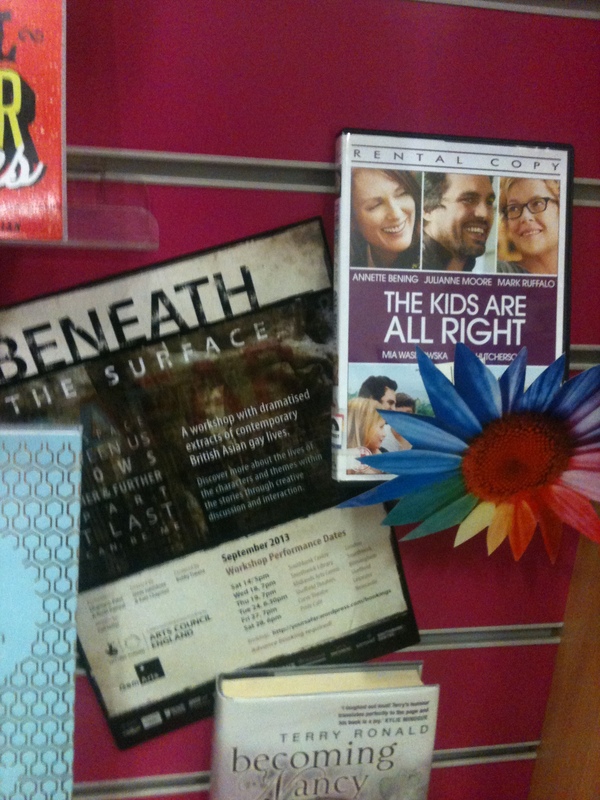 I was delighted to see my Beneath the Surface publicity materials centre stage. The image of two men kissing blown up and clearly visible to library users. 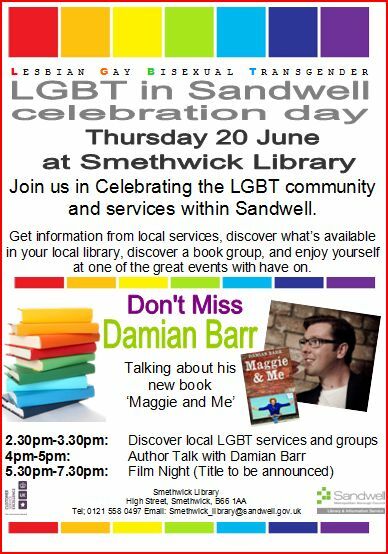 Join Sandwell LGBT communities and their friends on 20th June at Smethwick Library with special guest Damian Barr. 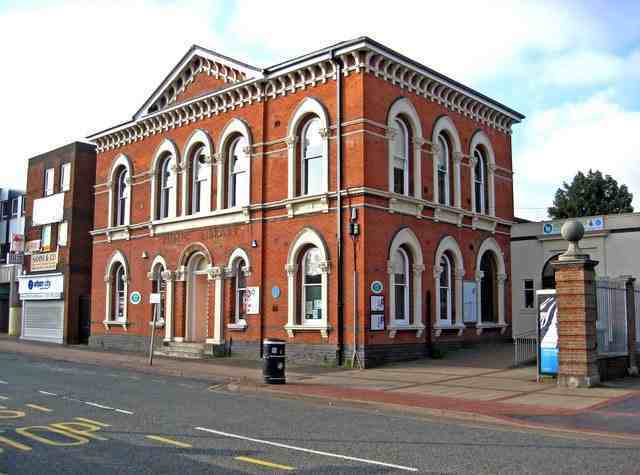 Smethwick Library’s a late Victorian building on the High Street. 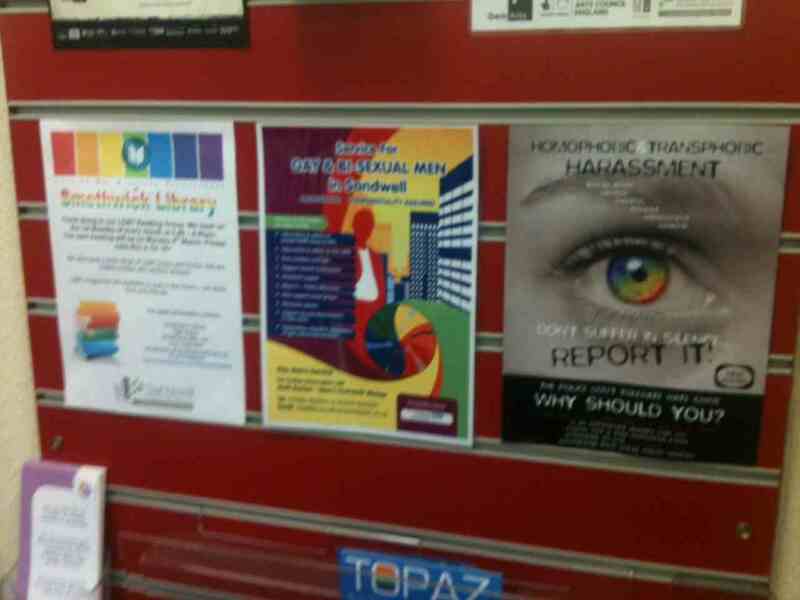 We ran many a session there during my BCT days for local communities.